What, no dwarves and swords? RPGs are great and all, but since the beginning they've always been a touch predictable with their setting. A fact I just made up states that nine out of ten role playing games are fantasy themed. That's a lot of swords of destiny and enchanted potions. How about something a little different? How about something with lasers and cyborgs and, dare I say it, co-op?! 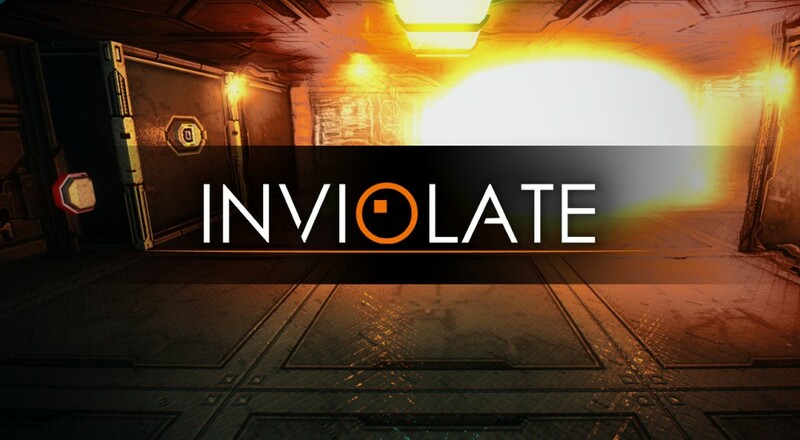 The crew at Gvoid feels our pain and is currently hard at work on Inviolate as a response. The game takes a first person point of view much like classic CRPGs of old (or Legend of Grimrock), but instead of just one player going it alone, you get four players collaborating in online co-op. It was inspired by the 1993 Amiga classic Hired Guns, which if you've ever heard of, you're already salivating with interest. How does a first person RPG work in co-op? By focusing on non-linear progression and exploration. Each player is free to run around the base to find items and solve puzzles on their own. However, some puzzles require multiple people, so at certain points you have to come together if you want to move forward. Characters also have their own traits, combat styles and starting equipment, everything from janitor to space marine. There's also permadeath (yikes) and a unique afflictions system that makes status ailments feel more like real world diseases. Gvoid expects to have an Inviolate demo ready in early 2017, with a possible crowdfunding campaign at about the same time. The game is still aways off, but everything the team has planned sounds amazing so far. Page created in 1.3068 seconds.